The future of small businesses and start-ups will be significantly impacted by data privacy legislation. With the ever-changing technology landscape and evolving uses of data, it is more important than ever to educate lawmakers on the complexities of data privacy from the perspective of tech companies. 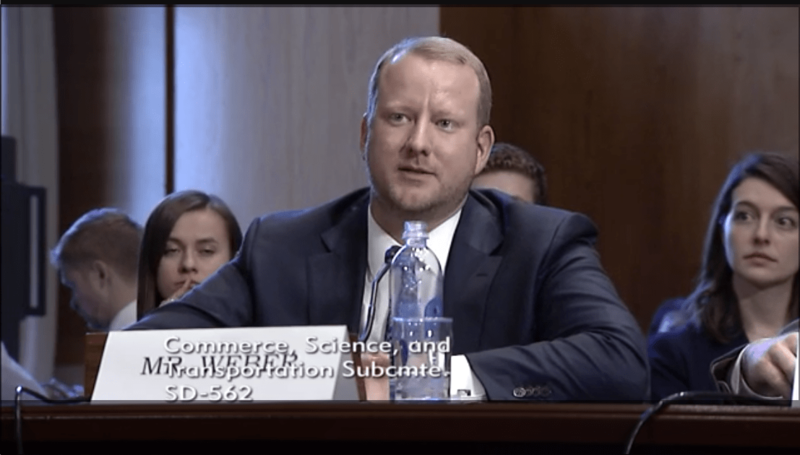 After surveying a group of member companies that identify as small and mid-size businesses, KCTC President Ryan Weber traveled to Washington D.C. to testify on their behalf. Weber was invited to share the perspective of small and mid-size companies in the KC Tech Council membership with the U.S. Senate Subcommittee on Manufacturing, Trade and Consumer Protection. Of the more than 3,800 tech companies in Kansas City, the majority are small and mid-size, and meeting the varying data privacy standards on a state-by-state basis has proven time-consuming and inefficient. An opportunity exists to create a single data privacy framework on a federal level, allowing companies to comply while continuing to innovate, and ensuring consumer's data is clearly protected. As this framework develops, we are pleased that the voice of Kansas City's tech industry was heard. We are grateful to Sen. Jerry Moran (KS), chairman of the subcommittee, for the invitation to share our companies' perspective. Read the full testimony here. You can watch a video of the hearing here. On Tuesday, October 30th, Governor Mike Parson signed HB 3, a bill previously referred to as SB 894, that will expand computer science education standards in Missouri. This new legislation will allow computer science courses to fulfill a math or science graduation requirement. Thank you to the KC industry and education leaders who traveled with the KC Tech Council to Jefferson City in January to advocate for this bill. Thanks to that coalition and countless other advocates along the way, the future tech workforce in Kansas City will now be better prepared than ever before. This win for computer science education is encouraging and underscores why policy advocacy is a major priority for the KC Tech Council. On Friday, July 13th, Governor Mike Parson vetoed SB 894, a bill that would have increased computer science education efforts in Missouri. While we are profoundly disappointed in Governor Parson’s decision to veto the computer science education bill that was broadly passed through both houses of the legislature with bipartisan support, we know we cannot afford to rest in our disappointment. Missouri’s children deserve education that prepares them for Missouri jobs, and allows them to be competitive with students from other states. In fact, 46 other states have passed legislation to broaden computer science education, and the students and employers in those states are already reaping the benefits. Missourians deserve that too. The tech industry’s growth will depend on it, as will our children’s career readiness. We look forward to continuing to work with our statewide partnership of industry and education leaders, as well as with the governor and legislature to get this legislation passed as soon as possible.